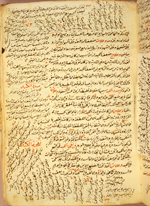 After the middle of the 11th century, epitomes were produced of the Canon of Medicine by Ibn Sīnā (Avicenna) to make the ideas more readily accessible. The earliest abridgement of the Canon may have been that by Īlāqī, if he was indeed a pupil of Avicenna's (though this has been challenged by those who say that he died in 1141/536 and his discipleship of Avicenna was limited to his being dependent upon Avicenna's ideas). In the next two centuries, epitomes, as well as explanatory commentaries, followed in rapid succession, and it was this industry of condensing and glossing the Canon that assured the encyclopedia its pre-eminent position in medieval medicine. Muḥammad ibn Yūsuf al-Īlāqī, according to some sources, was a student of Ibn Sīnā (Avicenna), though others state that he died in 1141/536 which would have been far too late for him to have actually studied directly with Avicenna. If he were indeed contemporary with Avicenna, and a student of his, then his composition would appear to be the first epitome of the Canon of Medicine of Ibn Sīnā. The epitome by al-Īlāqī, which also had some commentary, was limited to only the first book of the Canon. Al-Īlāqī wrote his abridgement in the form of aphorisms (fusul) and hence its usual title "The Aphorisms of Ilaqi"). 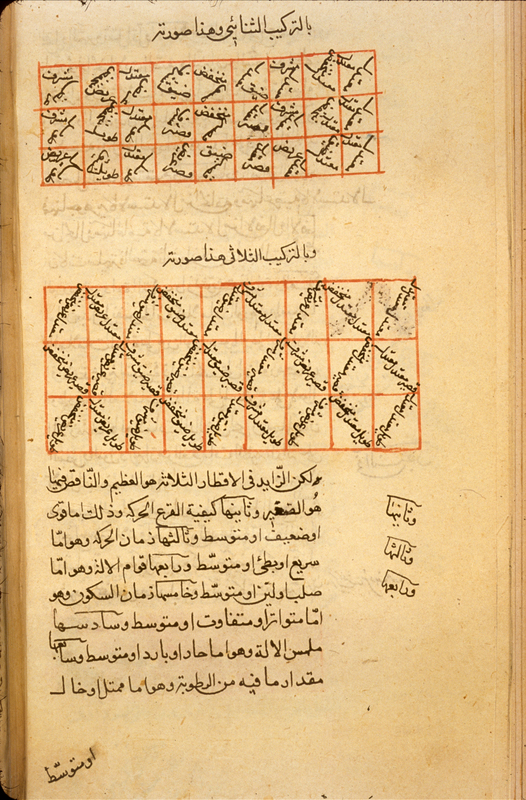 The treatise was also occasionally referred to as Kitāb al-Asbab wa-al-‘alamat (The Book of Causes and Symptoms). 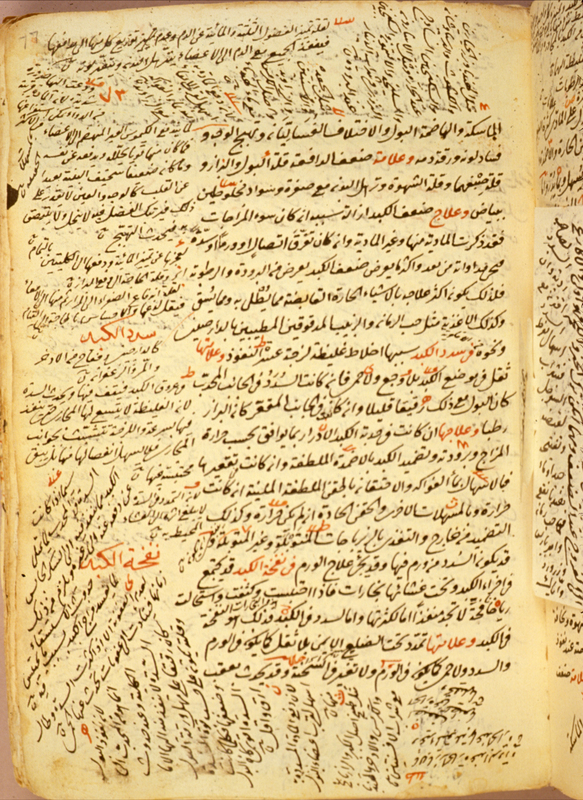 Al-Īlāqī's greatly abbreviated version of the first book of the Canon was very popular, and many copies have survived. For other copies, see Iskandar "Wellcome", p. 83-84; Iskandar, "UCLA", p. 42-43; and GAL, vol. 1, p. 457 (597) and GAL-S, vol. 1, p. 826. The colophon to a copy of al-Īlāqī's epitome of the first book of the Canon on Medicine by Ibn Sīnā (Avicenna), set out in the form of aphorisms. The copy was completed in 1087 [= 1676-7] by the scribe Aḥmad ibn Ṣafar, resident in the city of Üsküdar, a suburb of Istanbul. Arabic. 77 leaves (fols. 1a-77a). Dimensions 20.5 x 13.5 cm; text area 13.5 x 6.3 cm; 19 lines per page. The title in this copy is given on the title page (fol. 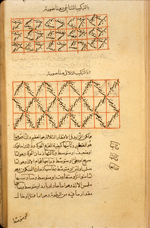 1a) as Kitāb al-Īlāqī fī al-ṭibb (Īlāqī's Book on Medicine). In the colophon (fol. 77a) the title is given in a different form: Matn Īlāqī (The Text of Īlāqī). 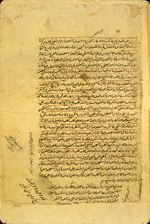 The copy was completed in 1087 [= 1676-7] by Ahmad ibn Safar, resident in the city of Üsküdar, a suburb of Istanbul (salin bi-madinat Üsküdar). On the title page (fol. 1a) the scribe's name is given as Aḥmad ibn Ṣafar al-Üsküdāri. He is the same scribe who copied the treatise by Najīb al-Dīn al-Samarqandī that is bound with this volume; see MS A 83/I. The text is written in a small, careful naskh script of Turkish style. The text area has been frame-ruled. Black ink with headings in red and red overlinings. There are catchwords. There are also some marginal corrections, with numerous recipes and notes, mostly in Turkish, on the title page and in the margins. The ivory, lightly-glossed thin paper has fine laid lines, rather indistinct chain lines, and is watermarked. The watermark of the paper differs from that used in the treatise that is bound with this manuscript (MS A 83/I). The paper is heavily soiled. The volume consists of 80 leaves. Fols. 77b-80b contain recipes, mostly in Turkish, written in different hands. Loose sheets with miscellaneous notes and recipes, mostly in Turkish, are tipped in following fols. 65, 69, 74, 70, and 80. In the manuscript with which this one is bound, MS A 83/I, fols. 179b-180a contain a table of contents for this treatise by al-Īlāqī; this was written after the two manuscripts were bound into one volume. The volume is bound in soft dark-brown leather covers. Macrophotographs of the binding, examined by the University of Cincinnati Leather Industries Research Laboratory, identified the leather as water buffalo or sheep or goat or calf. The binding is not original with the manuscript. There are paper pastedowns and endpapers. There are two owners' stamps on fol. 1a, one labeled simply Aḥmad and the other ‘Abd Aḥmad. The volume was purchased in 1941 by the Army Medical Library from A.S. Yahuda, who acquired it in Cairo (ELS 2368 Med; former 141). Schullian/Sommer, Cat. of incun. & MSS., p. 325 entry A83, item 3; Hamarneh, "NLM", p. 91. The most widely read of all abridgements of the Canon of Medicine by Ibn Sīnā (Avicenna) was that titled Kitāb al-Mūjiz (The Concise Book). It was also often given a fuller title Kitāb al-Mūjiz fī al-ṭibb (The Concise Book on Medicine) or Kitāb Mūjiz al-Qānūn (The Epitome of the Canon). This greatly abbreviated epitome of the Canon consists of extracts from all parts except those concerned with anatomy and physiology. It is not a shortened version of Ibn al-Nafīs's commentary on the first book only (the Kulliyat) of the Qānūn, as the 17th-century Ottoman historian Hajj Khalifah had stated (see Hajji Khalifah, Kashf al-zunun, ed. Flugel (Leipzig 1835-58), vol. 4, p. 497 no. 9354). Nor is it the same as his commentary on the entire Canon, as some scholars have suggested, though it appears to have been abstracted from that longer work (see Iskandar "Wellcome", p. 52-55). The Mūjiz is a well-written and concise general medical manual and became one of the most widely-read Arabic medical treatises. It is divided into four parts (fanns) and has the same basic structure as his full commentary on the Qanun: the first fann is on the general principles of the two parts of medicine, the theoretical (‘ilmiyah) and practical (‘amaliyah) of medicine; the second is on materia medica, both simple and compound; the third on diseases specific to a particular part, and the fourth on diseases which are not specific to one part of the body. Numerous copies are preserved today and it was lithographed in India at least six times between 1828 and 1906. It was also the subject of commentaries and super-commentaries (see entries below), and it was translated into Hebrew and twice into Turkish. For other copies, see Ullmann, Medizin, p. 173 note 3; Dietrich, Medicinalia, p. 86-89, no. 32; Iskandar "Wellcome", p. 143-149; Usamah Nasir Naqshabandi, Makhtutat al-tibb wa-al-saydalah wa-al-baytarah fi Maktabat al-Muthaf al-‘Iraqi (Baghdad: Wizarad al-Thaqafah wa-al-I‘lam, 1981), p. 373-6, entries 724-731; Adam Gacek, Arabic Manuscripts in the Libraries of McGill University: Union Catalog (Montreal: McGill University, 1991) p. 137-8, entry 145; and Savage-Smith, "Bodleian", MSS Pococke 34, Hunt. donat. 9, Marsh 482, Greaves 18, and Marsh 359; annd Birmingham (Alabama), University of Alabama, MS Medical 5066. The text has also been printed, using five manuscripts (one in Florence and four in Cairo) to establish the text: Ibn al-Nafis al-Qurashi, al-Mujiz fi al-tibb, ed. by ‘Abd al-Karim Ibrahim al-‘Azbawi (Cairo: Jamhuriyat Misr al-‘Arabiyah Wizarat al-Awqaf, al-Majlis al-A‘la lil-Shu'un al-Islamiyah, Lajnat Ihya' al-Turath al-Islami, 1986/1406). 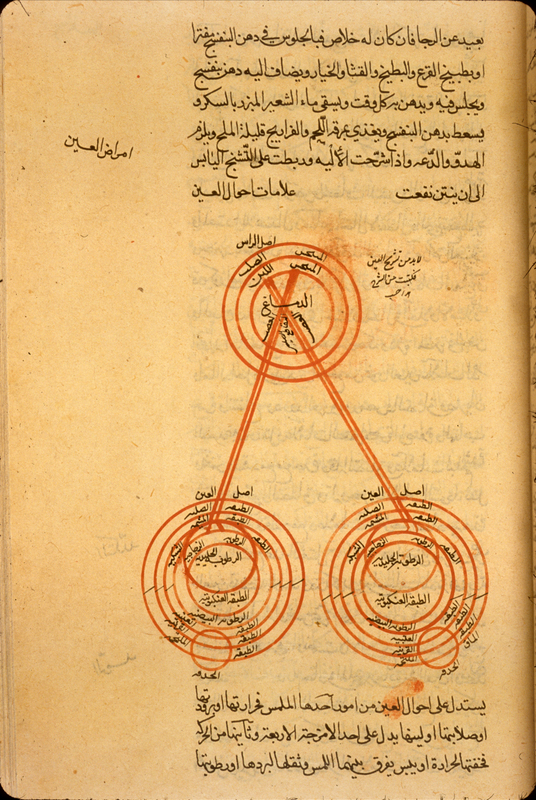 A diagram for diagnosis by pulse in a copy of Ibn al-Nafīs's epitome (Mūjiz) of the Canon on Medicine by Ibn Sīnā (Avicenna). 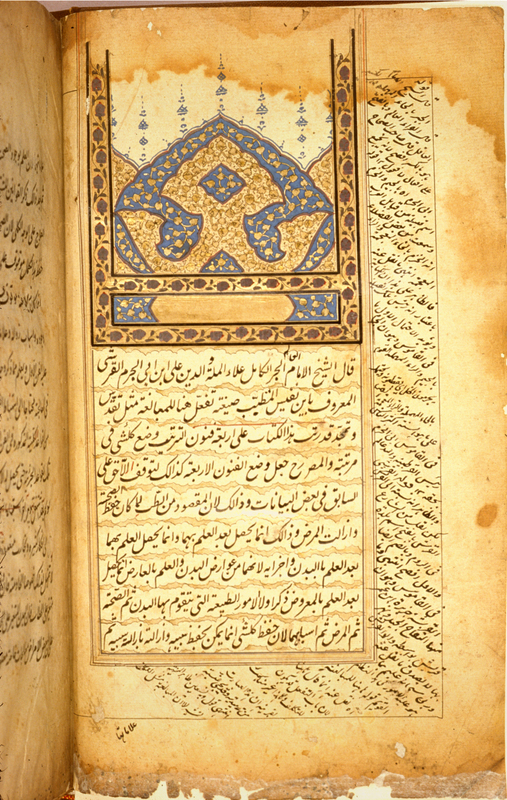 The copy is undated (possibly 17th century), but the copyist is named as Ibrāhīm al-Ḥusaynī [or al-Ḥusnī] al-Nūrbakhshīi. 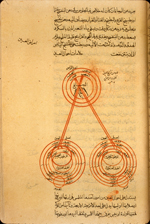 A diagram of the eye and visual system from a copy of Ibn al-Nafīs's epitome (Mūjiz) of the Canon on Medicine by Ibn Sīnā (Avicenna). 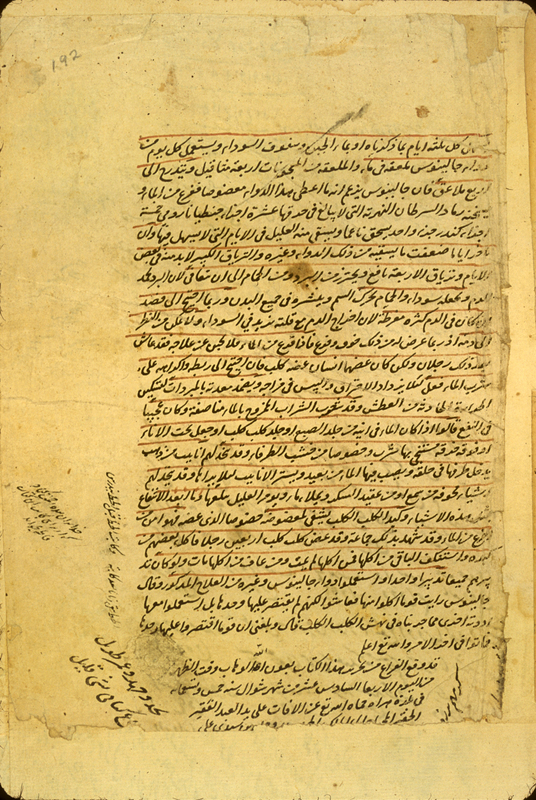 The copy is undated (possibly 17th century), but the copyist is named as Ibrāhīm al-Ḥusaynī [or al-Ḥusnī] al-Nūrbakhshī. Arabic. 123 leaves. Dimensions 25.1 x 12.8 cm; text area 18.2 x 7 cm; 25 lines per page. No title appears in the manuscript; its contents correspond to additional copies of the treatise at NLM (see below, MS A 44 and A 44.1), as well as copies now in the Bodleian Library, Oxford, and the Wellcome Libary for the History and Understanding of Medicine, London. The author is given on fol. 1b, line 4, as al-Qurashi ma‘ruf bi-Ibn al-Nafīs (i.e., al-Qurashi known as Ibn al-Nafīs). This is a complete copy, in four parts: fann 1, on general principles (fols. 1b-22b); fann 2 on simple and compound remedies (fols. 22b-41b); fann 3, diseases head to foot (fols. 41b-100b); and fann 4, diseases not assignable to any particular part (fols. 100b-123a). The copy is undated. The appearance of the paper, ink, and script suggests a date of the 17th century. The scribe is named in the colophon on fol. 123a, lines 5-6, as Ibrāhīm al-Ḥusaynī [or al-Ḥusnī] al-Nūrbakhshī. The text is written in a medium-small, elegant, professional naskh script. The text area is frame-ruled. Black ink with headings in red; there are also black overlinings highlighted with red. Space was left for an illuminated opening on fol. 1b, but it was not filled in; occasional spaces were also left for red headings that were not filled in. There are catchwords and marginalia in several hands (in both Arabic and Persian). The highly-glossed, brown, thin paper has wavy vertical laid lines, but no chain lines. There is some water damage to the paper. The edges have been trimmed from their original size, so that some marginalia are lost. The volume consists of 123 leaves plus one unnumbered preliminary leaf. The prelimlinary folio is blank but for a penciled recent note giving the title as al-Mūjiz and the author as Ibn al-Nafīs al-Qurashi. Fol. 1a is blank except for owners' notes and stamps. Fol. 123b is blank except for three miscellaneous notes. The volume is bound in a modern European library binding of pasteboards covered with brown leather. There are modern endpapers and pastedowns . Several owners's notes and two owners's stamps occur on fol. 1a; one of the notes is dated 1105 [=1693-4] and another dated 1201 [1786-7]. The volume was purchased in 1941 by the Army Medical Library, apparently from A.S. Yahuda, though his usual labels do not appear in this volume. Schullian/Sommer, Cat. of incun. & MSS., p. 311 entry A43; Hamarneh, "NLM", p. 101. The colophon from a copy of the Mūjiz by Ibn al-Nafīs, dated the 16th of the month of Shawwal 905 [= 16 May 1500]. The scribe's name has been cut off. Arabic. 192 leaves. Dimensions 23.5 x 16.5 cm; text area 26 x 10 cm; 27 lines per page. No title appears in the manuscript; its contents correspond to additional copies of the treatise at NLM (see below, MS A 43 and A 44.1), as well as copies now in the Bodleian Library, Oxford, and the Wellcome Library for the History and Understanding of Medicine, London. The author is named in the text (fol. 1b, line 2 as ‘Alā’ al-Dīn ‘Alī ibn Abī al-Hazm al-Qurashī, the physician known as (al-mutatabbib al-ma‘ruf bi-) Ibn al-Nafīs). This is a nearly complete copy, in four parts: fann 1, on general principles (fols. 1b-70b); fann 2 on simple and compound remedies (fols. 70b-110a); fann 3, diseases head to foot (fols. 110a-171a); and fann 4, diseases not assignable to any particular part (fols. 171a-192a). There appears to be a slight break in the text between fols. 178 and 179. The copy is dated in the colophon (fol. 192a) 16 Shawwal 905 [= 16 May 1500]. The name of the copyist has been cut off. The text is written in a small, careful, compact ta‘liq script tending toward naskh. The text area has been frame-ruled. Black ink with red overlinings. There are also red (faded) marginal headings and catchwords. There are marginalia in Arabic and Persian and marginal corrections. The brown, glossy paper is waterdamaged and some leaves have been repaired. Fols. 1-8 and 192 are guarded and the edges have been repaired. The edges have been trimmed from their original size, so that some of the marginalia have been cut off. The volume is bound in pasteboards covered with black leather; the covers have blind tooled frames. There are orange paper pastedowns and two endpapers at either end. On the first front endpaper there is a recent penciled notation in English identifying the work as al-Mūjiz fi al-tibb by Ibn al-Nafīs and that it is dated 905 [=1500]. The volume consists of 192 folios. Fol. 1a is blank except for miscellaneous notes, including one dated 1022 [= 1613-4]. Fol. 192b has miscellaneous notes and recipes in various hands. The volume was purchased in 1941 by the Army Medical Library from A.S. Yahuda. Schullian/Sommer, Cat. of incun. MSS., p. 312 entry A44; Hamarneh, "NLM", p. 10. The illuminated opening of a copy of the Mūjiz by Ibn al-Nafīs. The copy is undated, but possibly originated in an Indian workshop of the 17th or 18th century. The first nine lines of text are drawn in cloud-bands with gilt between the bands, and the text as a whole is set within a border of gilt, brown and blue frames. In the margins there is a commentary on the proper way to spell the author's name. Arabic. 125 leaves (fols. 1b-125b). Dimensions 29.5 x 17 cm; text area 9.3 x 18.5 cm; 15 and 21-22 lines per page. No title appears in the manuscript; its contents correspond to additional copies of the treatise at NLM (see MS A 43 and A 44), as well as copies now in the Bodleian Library, Oxford, and the Wellcome Institute for the History of Medicine, London. The author is given on fol. 1b, lines 1-2, as ‘Alā’ al-mullah [sic] al-Dīn ‘Alī ibn Abī al-Jaram [sic] al-Qurashī, known as (al-ma‘ruf bi-) Ibn al-Nafīs the medical practitioner (al-mutatabbib). It is an incomplete copy. It contains the entire first fann, on general principles of medicine (fols. 1b-96b) and part of the second fann, on diseases discussed head to foot (fols. 97b-125b). The second fann is incomplete, and the third and fourth fanns are missing. A break appears of occur between fols. 98 and 99 (the catchword does not correspond with the following folio). The copy is undated. The appearance of the paper, ink, script, and illumination suggests a date of the late 17th or 18th century and an Indian workshop. The first section (fann) occupying fols. 1b-96b is written in medium-large ta‘liq tending toward naskh script. Dense black ink with some headings in red, with a few red overlinings. On many folios spaces have been left for red headings that have not been filled in. There are catchwords and some marginalia. The second part (fann), occupying fols. 97b-125b, is written in a different but closely related hand that appears to be more recent that the first hand. It is a medium-large but more compact ta'liq tending toward naskh script. There are numerous red overlinings and headings in red. The text in this section is written with 21-22 lines per page. There are marginalia in the section part. There are catchwords also in the second part. There is an illuminated opening on fol. 1b drawn in black ink with brown opaque paint and gilt. The first nine lines of text are drawn in cloud-bands with gilt between the bands. The text on fol. 1b is set in a border of gilt, brown, and blue frames. Similar borders inclose the text on fol. 8. In the margins of fol. 1b there is a commentary on the proper way to spell the author's name. The gray-brown, highly glossed paper has wavy vertical (sometimes horizontal) fine laid lines but no chain lines. The paper has been damaged by damp and soiling; there is some foxing. Some folios are repaired. The volume consists of 127 leaves. Fol. 1a, 97a, 126, and 127 are blank. The volume is bound in a modern European binding of pasteboards covered with brown leather. No information is available on its provenance or when it came into collection at NLM. It is not included in the Schullian/Sommer catalogue.